Yorubas and the neighbouring nationalities located in Nigeria have this oral tradition of an origin extraneous to West Africa. Hugh Clapperton in 1820s reported a work by Sultan Bello, the Caliph of the Sokoto Caliphate, where he asserted that the Yorubas were descended from Canaanite tribe from Palestine. Around the 1880s Samuel Johnson a Yoruba christian also wrote a book that made similar claims for Yoruba origins as Sultan Bello’s. In 1880, Johson naively sent this work to the Church Missionary Society in England for review and publication. The Church Missionary Society suppressed the manuscript upon realizing the explosive information it contained. The Society declared the book lost. It was not until 1923 that Johson’s brother was able to publish an edited copy of this work. Johnson’s thesis was that the Yorubas were descended from Lamurudu (Nimrod) the first King of Mesopotamia. Johnson died in 1901. 1955 S.O. Obiaku, a Nigerian historian and scholar claimed a Meroite origin (Sudan/ancient Ethiopia-Kush) for the Yorubas. Emmanuel Uguhulu another respected Nigerian scholar claimed a Hebrew origin for the Esan tribe. Esan is part of the greater Edo nation, which is related to the Yoruba nation of Nigeria. Efik traditions claim that the Efiks originated in Palestine, crossed the Sahara and arrived Nigeria via Sudan. The Efiks are located in the south-eastern corner of Nigeria. The Bnai Ephraim (”Children of Ephraim”) from Nigeria, live among the Yoruba nationalities. Their oral history tells that the Bnai Ephraim people came from Morocco after the Jews were banished from the Iberian Pennisula sometime after 1492. They speak a dialect that is a mixture of Moroccan Arabic, Yoruba, and Aramaic. They are known by the Yoruba people as the “Emo Yo Quaim”, or “strange people”. Unlike other African Israelite communities in Nigeria, the Bnai Ephraim have the Torah, portions of which they keep in their sanctuaries. The name Lagos borne by the former capital of Nigeria is a Portugese/Iberian name meaning the lake. Lagos is an Island carved up by lagoons, swamps and lakes. Its traditional Nigerian name is Eko. 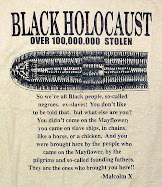 Thousands of black refugee Jews of Iberia re-settled in the environs of Lagos and Porto Novo (as well as in Cape Verde, Guinea Buissa, and in Sao Tome either as slaves or outlaws). Some groups eventually made it deeper inland and became assimilated into one nationality or the other. The Bnai Ephraim provides a living and irrefutable proof of this barely known history of mass Jewish re-settlement in West Africa, between 1492 and 1692, a 200 year non-stop return of Jews to Africa. This set of Moorish refugees are not to be confused with more ancient Hebrew and Canaanite tribes that had been living in Nigeria and other African countries for thousands of years. 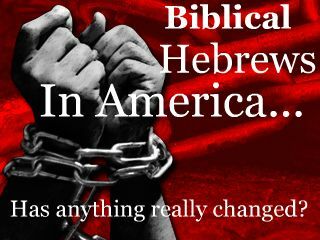 The Black Jew series on Rasta Livewire deals with the relatively more ancient Hebrews of Africa. 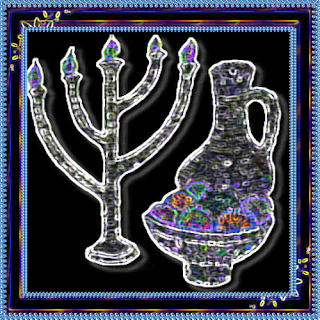 The Bnai Ephraim did not settle with the Yorubas by accident or chance. They recalled that a body of their people had depart Canaan in the ancient times and had settled in the present day Yoruba areas of Nigeria, just like their own group – Bnai Ephraim – had settled in Iberia (Spain and Portugal). So, when it happened they had to leave Iberia in a hurry to protect their lives and freedom, those Moorish Iberian Jews sailed on their network of ships to Nigeria Africa, near Lagos amongst the Yorubas, their relation by blood, their greater nationality. Other series on this website will continue to explore the foot-tracks of the Hebrew Israelites of Africa whose stories barely get told. Now, they shall not only be heard, they shall also be seen. Tudor Parfitt: “The Construction of Jewish Identities in Africa” in the book “Jews of Ethiopia” Edited by Tudor Parfitt and Emanuela Trevisan Semi. Routledge.